Innovative and reliable: HBM provides the optimal Load Cell or Load Sensor for your application. Rely on the competence of the worldwide market and technology leader in weighing technology. HBM Single Point Load Cells have been designed such that their excellent mechanical and measurement properties can be optimally used in a wide range of applications. 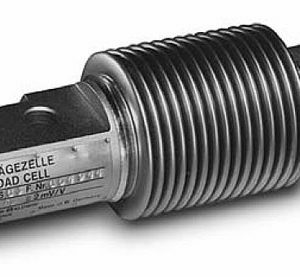 A Single Point Load Cells is also called Platform Load Cell. The RTN ring torsion load cell covers a large rated load range from 1t to 470t. It provides a perfect solution for any type of platform, truck scale, and tank weighing in the process engineering industries. Stainless steel, hermetic encapsulation according to the highest protection class, as well as different versions of explosion hazard areas pursuant to the latest ATEX Directive are used as a matter of course. The output resistance is, with 4k Ohm, very high-impedance, therefore uses very little current. The RTN is thereby perfect for battery-operated mobile applications. The annular strain gages react to loads from all directions. The RTN also records loads that would be missed by a rod-shaped load cell. With 2.85mV/V, the RTN has a very high output signal, and therefore a greater signal to noise ratio and very high accuracy. Approvals are available for installation in scales that are subject to weights and measures legislation or used in potentially explosive atmospheres, e.g. from the German National Metrology Institute (PTB). Certificates for worldwide use are available as well. HBM offers Weigh Modules as a solutions for weighing and level measurement in process industry applications and for batching processes in the chemical, pharmaceutical, food and construction materials industry.